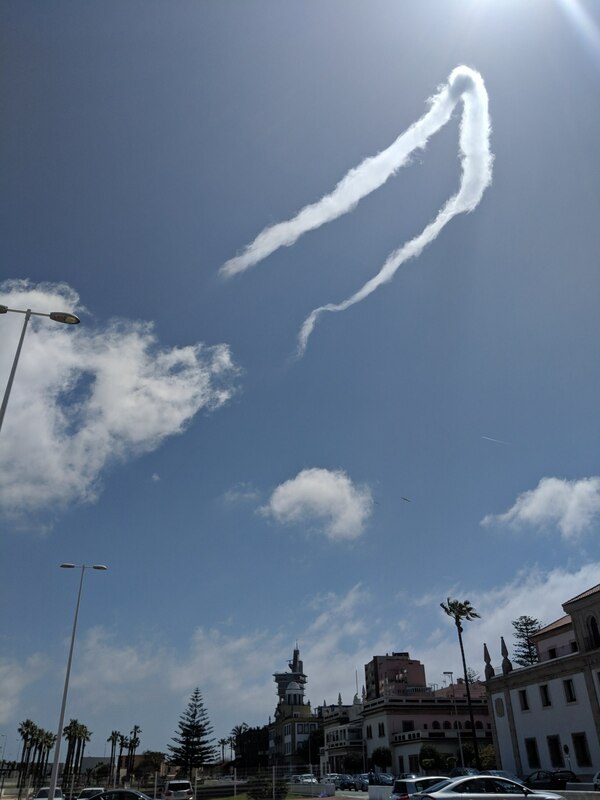 Rare horseshoe clouds appeared over Madrid and Algeciras in Spain, on April 19, 2018. 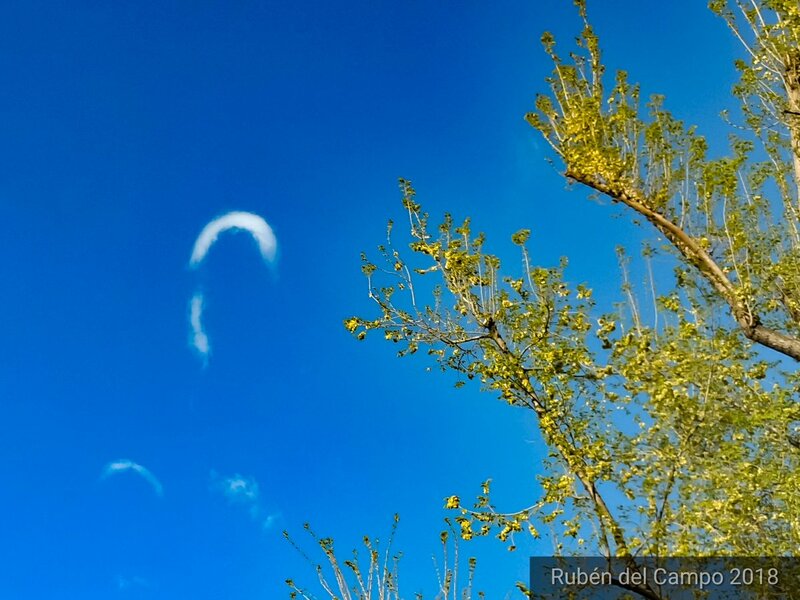 Extremely rare “horseshoe clouds” were spotted over the Spanish towns of Madrid and Algeciras on April 19, 2018. 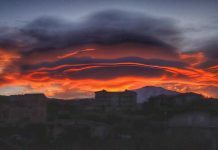 The photos of the unusual atmospheric phenomenon were taken by Ruben del Campo and Luis Jiménez. It’s called a horseshoe cloud for obvious reasons. The unusual shape of the cloud is the result of a rare phenomenon known as the “horseshoe vortex”. On days with flat puffy cumulus clouds, some weak updrafts form and drive the clouds upward. 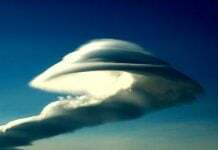 In certain cases, it can also create a horizontal vortex (perpendicular to what a tornado would be). At some lower altitude, the normal atmospheric winds catch it and blow the middle part forward, which allows the ends to trail behind. It’s all still spinning, but as the winds continue to blow stronger in the middle, it becomes quickly tenuous and soon dissipates. That is, the visible cloud dissipates. The phenomenon does not last long. You have to be in the right place, right time, and looking up. So always take your camera with you. 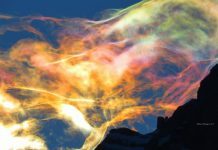 PYROMANIAC SAYS;I think that be a martin space ship, Duck and cover the martins have arrived and run away as far as u can to the warmest place on earth Greenland. It will be when all those volcanoes go off, hiding under the ICE SHEET , all at the same time level V.E. 5 Ha, ha, ha, ha, ha, ha, ha, ha ,……???????? I saw a very similar to this in Central Europe, area West Hungary. But it was more like a sign . My old school teacher had the same sign. When i go inside to get a camera, after that the cloud disappeared . 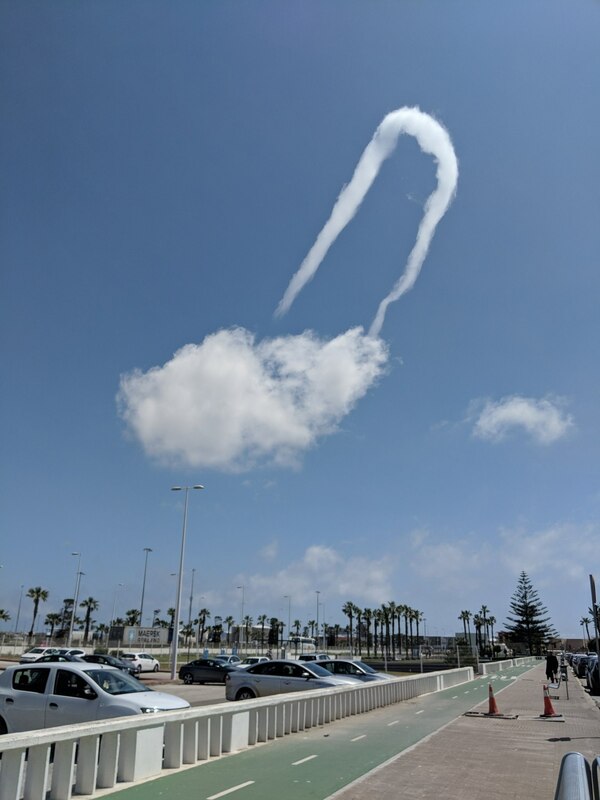 But absolutely not felt that i had see a cloud.